Damodar Kunda (lake) is famous for Hindu religion. This Lake is situated in the It is situated high up in a rain- shadow area of the Himalayas north of the famous Annapurna range of the upper Mustang region between Kagbeni and Muktinath. The elevation of the Damodar Kunda is 5400 meters. It is a cold and windy place, but also very beautiful. Barah Puran has narrated the damodar kund’s religions significance. While describing Domodar Kund, River Kaligandaki can’t be left untouched. River Kaligandaki has its source in Damodar Kund and throughout its flow to south right up to Indian border carries a manifestation of lying lord Vishnu with Damodar kund jeweled as His auspicious Head and with Muktinath as the mouth, Shaligram Chakra as chest Ru Ru Kshetra of Palpa district as the waist, Devaghatam as the Knee and lastly the auspicious feet of lord Vishnu goes to the credit of Gajendra Moksha devadham, Nawal Parasi. Such a beautiful elaboration of the lord, one may find starting from the auspicious lakes of Damodar Kund. In the 2nd column of Barah Puran; Lord Krishna has said that who pays a visit to this Kunda and takes a deep-bath, they will be freed from all the sin. It is also mentioned in Puran that two sons of Kubers were suffering from their wrongdoing & sin, which they did in their previous birth but lord Krishna suggested them to take bath in this Kunda and immediately after taking bath in this Kunda they were released from all their sin. So the importance of a visit to this sacred place cannot be described in a short paragraph. From Damodar Kund, the views are spectacular, a bit higher than the lakes, just a short climb up some of the hills. 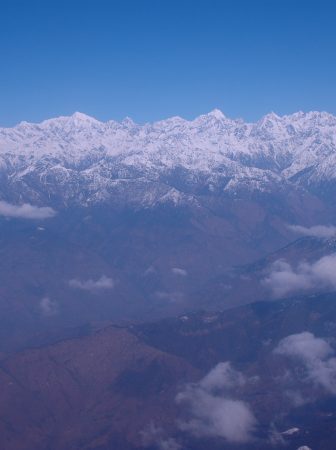 From here you can see the Tibetan plateau & Damodar Himal to the north and the massive Annapurna Himalayas to the south. There are 65 peaks in this Himal range including Damodar Himal, Muktinath Himal (6,706m), and Bhrikuti Peak (6,364m). It is three days walk North- east of the main Mustang trekking route & very close to the Tibetan border. Usually this area is open for visitors from April to September, but the best time to visit this area is during the full moon of August every year, when you can enjoy a big festival. Many Hindu and Buddhist pilgrims will also be there to celebrate the full moon. We welcome you to a serene and highly religious Damodar Kund, Many Hindus from round the globe are dreaming to take a holy bath at least once in their life time in the sacred Damodar-Kund, situated at the lap of high Himalayas. Here we are at their service to make their dream come true. We had prepared a comfortable trek on foot and Pony. 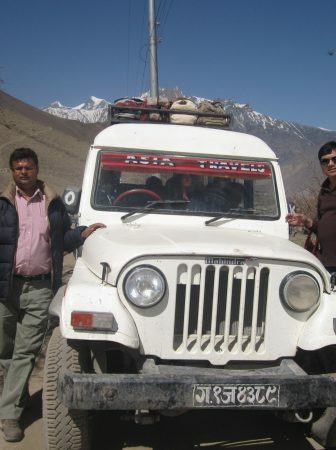 From Jomsom the district headquarters of Mustang, the trek would be for 14 days to and from. 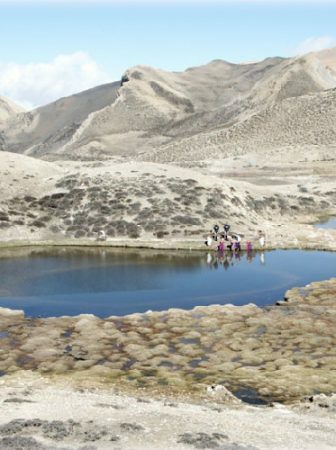 Since Damodar Kund is at the high altitude, the trek is designed in view of acclimatization and comfort. 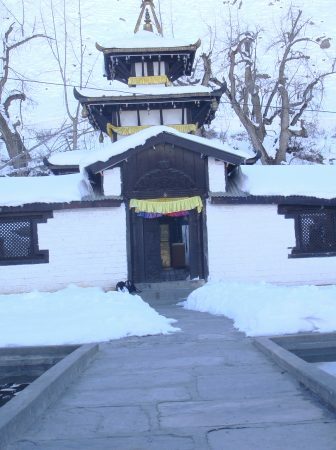 We make you visit Lord Muktinath on the return leg. Since Pilgrimage would cover the high altitude (above 5333m.) it is a difficult trek and requires a normal physical fitness. When enter to Nepal directly by air to Kathmandu and then visiting places like Kathmandu valley and Pokhara & to Jomsom, Pokhara and Jomsom are linked to Kathmandu by air or one may have a choice to travel to Pokhara by road from Kathmandu and then by air to Jomsom 2667 m.
Other way of entering Nepal is through Sunauli Border and Kakarvitta border, nearest railway junction is Gorakhpur and Siliguri respectably and then visit to Pokhara by road or air & further Mahendra Nagar Indian city Banbasa, Biratnagar & Pashupati nagar on Indian border Jogbeni & Darjeeling respectably. 1 Warm clothes, a pair of hiking shoes, sun-tan cream, sunglass, nuts biscuits, huts, Chocolate, of choice, Personal towel, woolen socks etc. Torch and Cameras tele or still with enough batteries. 1. We offer vegetarian food, Morning, evening tea/coffee along with snacks, while you would be in trekking. 2. Alcoholic drinks beverages should not be consumed. By Helicopter visit in the month of April and September is suitable. For the treks on foot / Pony May, June is preferable. Helicopter Services will be conducted from Jomsom/Pokhara. Indians are required to carry authorized identity card, preferably passport, Indians and others SAARC nationals will have to pay ACAP fee of Rs. 200 and others nationals will be paying Rs. 2000. Damodar Kunda lies in the upper Mustang area, here strictly prohibited going there without permission. Except than ACAP Fee the Govt. Royalty will pay US $ 500.00 Per Person for Indian and SAARC countries other than SAARC US $ 700.00 Per Person . A group of highly competent and professional staffing who care for your needs. We are linked with world on our website and have other communication mode. We maintain a sophisticated range of equipment and a fleet of luxury cars and buses. We have a well-stocked store with the equipment required for trekking and expedition. Arrival at Kathmandu Tribhuvan Airport pick up from airport, transfer to Hotel. After short preparation visit to Pashupathinath Temple World heritage site, oldest temple Top of Hindu temple (God Shiva) Pashupatinath, Evening there will be Arati at 6.00 PM regularly, after see arati and have darshan back to Hotel and overnight. Arrival at Kathmandu Tribhuvan Airport pick up from airport, transfer to Hotel. After short preparation visit Pashupathinath Temple World heritage site, oldest temple Top of Hindu temple (God Shiva) Pashupatinath , Have darshan and Worship at Evening there will be Arati at 6.00 PM, After see arati and have darshan back to Hotel and overnight. 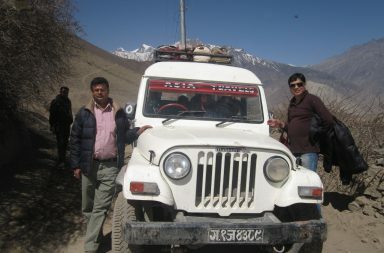 AM breakfast transfers to Airport, fly to Muktinath by Helicopter. Arrival at Ranipauwa 3710 Mtr. walks to Muktinath temple 3800 Mtr. /1.30 Min. Arrive in temple, Muktinath is god of Salvation, it holds great significance for all spiritual people in the south Asian sub continent. Muktinath (the provider of salvation) has been one such holy site, where thousands of devotees flock for attaining the much sought after moksha, have holy bath on 108 waterspouts, name of “Muktidhara”. & Holy bath in Kunda (2 Kunda in front of Temple, Hindu devotees take bath under chilled water of 108 waterspouts “Muktidhara” & Laxmi & Saraswati Kunda, its believing that it brings them salvation, Have darshan and worship to Muktinath god walk to Jwalamai Temple and walk back to Ranipauwa fly to Damodar Kunda, After have Darshan / worship ( Puja) fly back to Kathmandu-1.45hrs., arrive and transfer to hotel, free time for rest, overnight. After breakfast free time till departure, Transfer to Airport by private vehicle for final departure and fly to your destination. Arrive in Pokhara and transfer to Hotel. Evening free time for individual activities. Overnight. AM breakfast transfers to Airport, fly to Damodar Kunda by Helicopter. After short preparation Holy bath in Kunda & have Darshan / worship ( Puja) fly to Muktinath, Arrival at Ranipauwa 3710 Mtr. walks to Muktinath temple 3800 Mtr. /1.30 Min. Arrive in temple, Muktinath is god of Salvation, it holds great significance for all spiritual people in the south Asian sub continent. 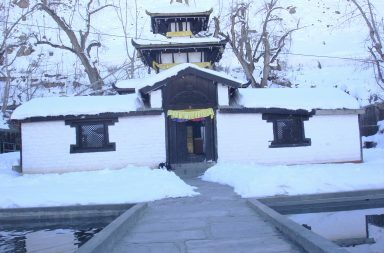 Muktinath (the provider of salvation) has been one such holy site, where thousands of devotees flock for attaining the much sought after moksha, have holy bath on 108 waterspouts, name of “Muktidhara”. & Holy bath in Kunda (2 Kunda in front of Temple, Hindu devotees take bath under chilled water of 108 waterspouts “Muktidhara” & Laxmi & Saraswati Kunda, its believing that it brings them salvation, Have darshan and worship to Muktinath god walk to Jwalamai Temple and walk back to Ranipauwa fly back to Pokhara-45 min., arrive and transfer to hotel, free time for rest, overnight. After breakfast final departure to onward your destination. After breakfast, drive to Pokhara -210 km/6 hrs. on the way you will visit Manakamana Temple (Hindu goddess of willing) by cable car, it is 2.8 Km from down station to upbeat station It takes 12 min for one way. After puja & darshan continues drive to Pokhara, Arrive and transfer to Hotel. Evening free time for individual activities. Overnight. Early in the morning go for Sunrise from Sarankot by Private vehicle, This place is situated in 1350 m from sea level, from here you will see the Fis-tail, Dhaulagiri, Nilgiri, Lamjung Himal and other mountains, you feel like touch the mountain from here. Drive back to hotel. After breakfast proceed for sightseeing places to visit some places to Bindhabasini Temple, Bindhabasini is the mother goddess who fulfills the wishes of her devotees, Seti River, it is provides a perfect view of the river’s dreadful rush and the deep gorge made by its powerful flow Devi’s Waterfall is locally known as the Patale Chhango (Hell’s Fall). Devi’s Fall (also known as Devin’s and David’s) is a lovely waterfall, Gupeswor Cave is a sacred and natural cave there is temple of Load Shiva, So that is known Mahadev cave, The Barahi Temple is the most important monument in Pokhara. Built almost in the centre of Phewa Lake, this two-storied pagoda is dedicated to the boar manifestation of’ Ajima where to go by boat ride in Fewa Lake. Fewa Lake, the second largest lake of the country, is the centre of all attraction in Pokhara. Return to Hotel. Overnight in Hotel. 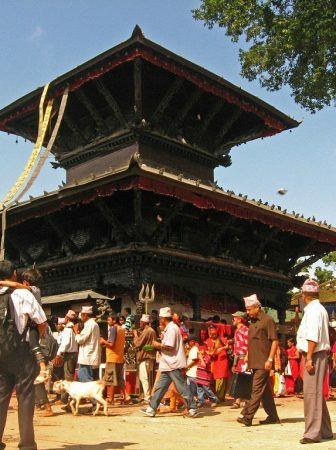 After breakfast, you will proceed to Kathmandu Sightseeing places to visit. 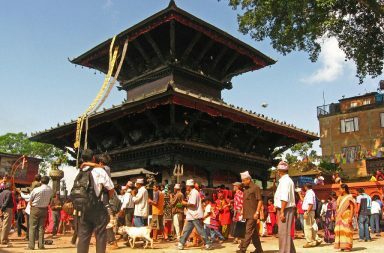 Bouddhanath, the holiest shrine for the Buddhist culture in Nepal, Budhanikantha is a place of pilgrimage for all Hindus. Budanilkantha is sleeping Vishnu, colossal statue of lord Vishnu reclining on a bed of snakes on Water pond. So is called Jal Narayan also. Swayambhunath, famous world heritage site with magnificent views of the Kathmandu valley and tribute to Buddhism, Kathmandu Durbar Square (Center of City). This square is famous for old palaces, temples, Kumari Ghar and Patan Durbar Square is known as the city of fine arts. The square is full of ancient palaces, temples and shrines, noted for their exquisite carvings. The city is full of Hindu temples and Buddhist monuments. And Krishna Temple-Built in the seventeenth century, the temple of Lord Krishna holds a commanding position in the palace complex of Patan – 5/6 hrs and back to hotel overnight.